In a recent post, I shared that it was possible to mix henna and hibiscus powder for hair coloring and some of you beautiful ladies wanted a demonstration on mixing the two powders. 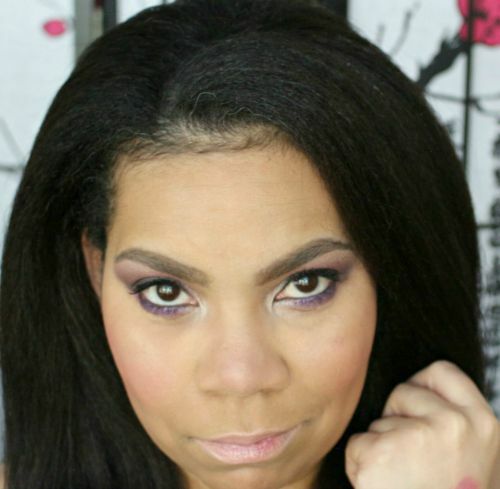 Of course, I had to oblige and film a video sharing how to mix henna and hibiscus. I did not film the application process, but I apply it the same way I do in my pre-poo video. Is coloring with henna and hibiscus permanent or semi-permanent? Coloring with henna is permanent. 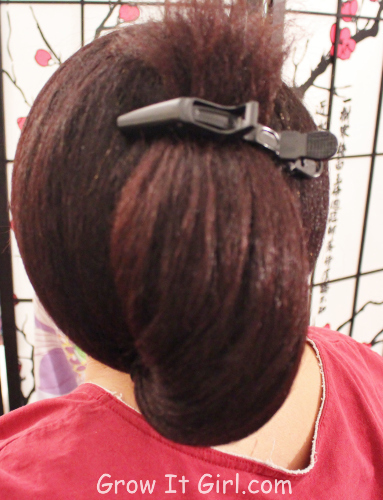 There are a few ways to remove the color: grow it out, cut it off, or color over it. You do have to be careful if you decide to use a commercial dye over the henna and hibiscus color because it may change your desired color. Henna does not behave in the same manner as traditional hair color. How red will my hair appear? If you have dark hair, like I do, the mixture will not leave you with an extremely bright red. If you have light hair, your results will be a brighter than those with dark hair. It does take a few days for you to see your final color and it will always appear brighter when your hair is exposed to the sun. It is best to mix the (affiliate link) hibiscus into the henna as a tea. If the color is not mixed properly you will end up with a purple color and not red. I give more details on benefits and words of caution in my previous henna and hibiscus post. 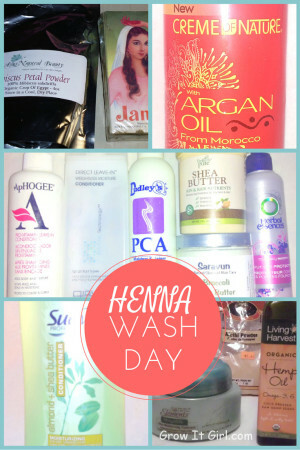 If you would like to know how I go through the process on application day, please be read my henna wash day post. I hope you find this helpful. If you decide to give it a try, tag me on Instagram or Twitter. I would love to see your results. Don’t forget, if you want the strength of henna without color, you can use (affiliate link) cassia obovata . This is a neutral form of henna that will not deposit color. If you would like to darker your hair to a rich brown or black, you can use Indigo. 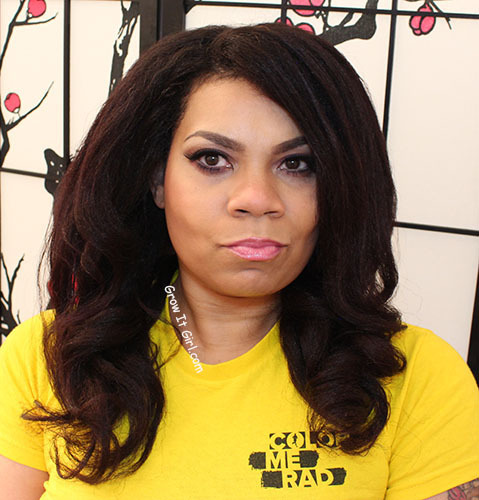 I hope my tips on how to mix henna and hibiscus power for hair coloring was helpful to you. Can You Use Hibiscus and Henna Together? 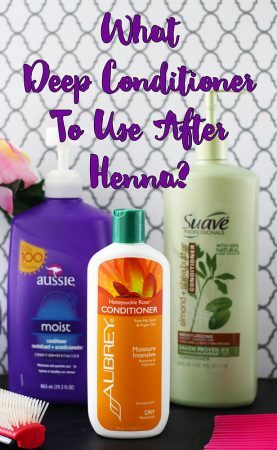 Do you shampoo before and condition after using henna? I’m actually really glad I read this post! I went out and bought hibiscus powder because I really want a purple hue to my hair more than red. It’s nice to know I can get color without harming my natural hair. I really enjoyed watching this video and your hair is so thick and healthy. You & your hair looks great! 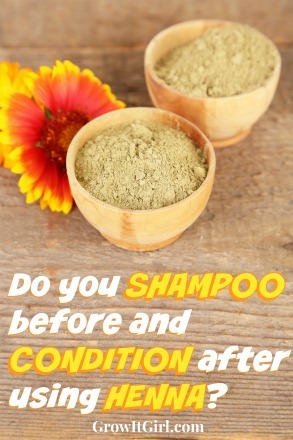 Divachyk // Relaxed Thairapy recently posted…Did Protein Really Control My Breakage?